2 Negative effect on mental health. 5 Increased chances of burn out. 6 High level of stress. 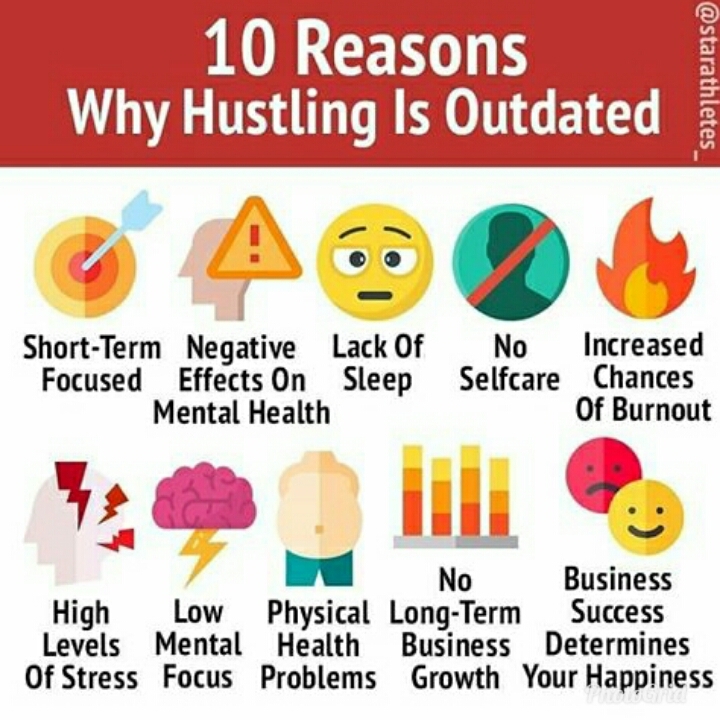 9 No long-term business growth. 10 Business success determine your happiness.